The California Surf Festival will be showing three epic surf films at three locations in San Diego County this spring and summer. This is the sixth year for the film festival that screens surf films with amazing cinematography and compelling story lines. Plans for this year’s film festival have not been finalized, but the aim is to secure the films “Endless Summer,” “Step Into Liquid” and “Chasing Dora.” “Endless Summer” is a cult classic. This year is the 50 year anniversary of the film. “Step Into Liquid” shares the beauty of surfing from different viewpoints. Zuegner added it is a universally relatable film, that had a run in mainstream theaters. “Chasing Dora” shows the personal side of surfing legend Miki Dora. Locations for film screenings are also being finalized. A week ago two of the anticipated venues had schedule changes. Zuegner said he hopes new dates can be secured. One screening that can be confirmed is “Chasing Dora” at the San Diego Hall of Champions in Balboa Park Aug. 23. The California Surf Museum began in George’s Restaurant (now closed), in Encinitas in 1986. It had its first museum building in Oceanside in 1996, and later moved to its permanent location at 312 Pier View Way. The museum has a permanent collection of surfboards dating from the early 1990s to today. It also has rotating exhibits on surfing as a sport and culture. In addition to exhibits there is an archive room of surf literature, videos, and interviews. is OB Playhouse too small…? Too bad that Wings wasn’t still a theater. I know it’s kind of ancient history now but talk about a perfect fit for a film fest like this. 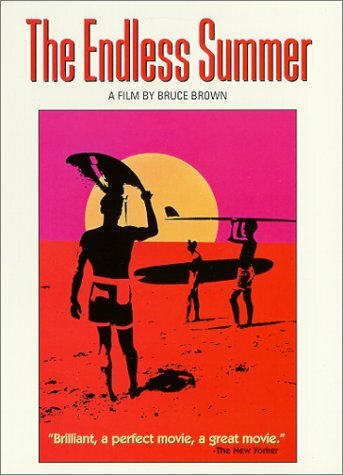 While in high school, I saw Endless Summer before it had a narration soundtrack. In a packed PB school auditorium, Bruce Brown himself gave us an on-the-site narration. The Endless summer will be show on the grass at Veterans Plaza June 21st.I beleive …. That sounds right Jim. International Surfing Day is June 21st, and rumor has it the San Diego chapter of the Surfrider Foundation has some really fun plans in store for OB!